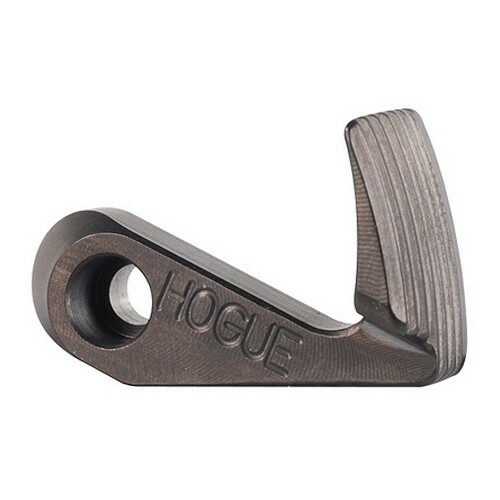 This extended cylinder release from Hogue allows the shooter to disengage the cylinder without repositioning the grip hand. Some of the benefits this extended cylinder release offers include faster reloads and improved engagement between the thumb and the cylinder release. The face of the release features deep grooves for a secure engagement and the slight radius of the cylinder release arm increases the mechanical leverage which makes disengagement of the cylinder easier. The long model is for shooters with smaller hands.